Up to 80% of all trading on the stock market on volatile days is generated by Artificial Intelligence. When the market is rising regularly, few take much notice. But when trading becomes chaotic, as it has done recently, people start to become concerned. The concern is that China knows how to weaponize AI programs. They can be hacked or misled. The Syrian Electronic Army once hacked the AP Twitter feed and caused a very brief market crash. Chinese hackers are far more sophisticated. We have previously noted a time when China accused us of manipulating their stock market. We have noted that China views causing a market crash to be a weapon of economic warfare. Now, we are experiencing an AI-driven market crash at a time of clear economic war underway. Can we rule out the possibility that China is perpetrating a crash to embarrass the President (who has often pointed to market gains as proof of his success)? The show, Economic War Room, now airs on BlazeTV. 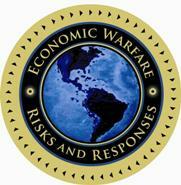 To learn more about the Economic War Room, visit www.EconomicWarRoom.com. You can get a FREE one-month trial and $20 off an annual subscription now through year end. Go to the website for more details. Previous post: Sign Up for Slavery? Benefits Included?